Family lawyers throughout the UK are increasingly looking for processes which are more human, subtle and responsive to their client’s needs. As family law solicitors know well, life is never predictable when the most intimate emotional and financial aspects of people’s lives are thrown open to scrutiny and come under (real or perceived) attack. That’s why it is important to have the broadest range of different options available to try to resolve differences before litigation has to come into play. Firms like Balfour+Manson, and specialist family lawyers in Scotland more generally, are leading the way in offering a range of non-litigation options to resolve family disputes, often grouped together and described as ADR (Alternative Dispute Resolution). To many clients, that description is meaningless; they are simply interested in knowing which way forward is best for them. If we are genuine about doing what is in a client’s best interest, we need to talk to them, and listen to their stories, their aims, hopes and fears – then identify which might be the best path to follow. As family lawyers, we must not give in to temptation to go down the route which seems to offer the “obvious” path or answer. The best path depends on a number of factors, including the couple’s ability to communicate, level of trust, power balances in the relationship generally and whether there has been any other verbal or physical abuse. Where the relationship is balanced, communication is good and trust and openness are high, it is frequently possible for clients to resolve their difficulties with a minimum of legal intervention – sometimes referred to as kitchen table agreements. In such cases, clients take some advice but tend to reach agreement themselves. A binding contract in the form of a Minute of Agreement is required but can be completed on an “implementation only” basis with minimal intervention. Where a greater level of intervention is needed, mediation is often a good option. Balfour+Manson has three trained mediators and when instructed as mediators, they are not acting on behalf of either party. Their role is to facilitate constructive discussions directly between two individuals to assist them in reaching a mutually acceptable resolution. As with implementation only agreements, the majority of control is with the individuals, rather than their solicitors. For mediation to work, clients must be able to sit in a room with each other and communicate in a respectful way. The requirement to sit in the same room as their estranged partner is also a feature of a third form of resolution, collaborative practice. This is popular with clients who feel they need a greater level of assistance and representation but wish to maintain good levels of communication and work towards a solution to meets the needs of the family as a whole. Balfour+Manson has four trained collaborative practitioners. They know that neither collaborative practice nor mediation are easy routes. It can be difficult to sit in a room with a recently estranged partner, particularly if personal trust has been diminished as a result of the separation and the reasons behind it. Where clients can adopt one of these routes, however, they can ensure, despite their separation, that they have not lost the ability to communicate directly with each other. That can be particularly important when they have children. Another real benefit of the first three routes of resolution is that the focus is away from written communication. When “positions” are reduced to writing, hurt can be caused, even when not intended – and committing positions to paper means they can do long-term damage. It is not always possible for clients to resolve matters in a way which involves direct communication. There may be a breakdown of trust or hurt at a level which means constructive 1:1 discussion is simply not possible. Occasionally, geographical issues make discussions impractical. In such cases, it is possible to resort to traditional solicitor negotiation. Occasionally, no matter how constructive the discussion is, an impasse arises. Whether that is in relation to one point or matters as a whole, it is possible to refer a matter to a specialist family arbitrator if there is a need to ask a third party to make a decision. At Balfour+Manson, two of our family law partners are qualified as arbitrators, who are effectively private judges. Ultimately, however, if agreement cannot be reached and the impasse remains, or there is a failure to engage by one party, the courts are there to provide a way of making progress towards overall resolution. Sometimes, urgent issues arise around a need for protection, either of one party or of a child, and court is the only realistic route to take. Family lawyers have spent the majority of their working lives being directed to look for outcomes for clients based on their entitlement in terms of the law. It is essential clients are aware of their rights within the legal framework – but we must we must listen to them and have the confidence to assist them in reaching solutions which fit their own needs in relation to both process and outcome. We must also ensure the outcome is one which they will be content with – not only today, but in the future. 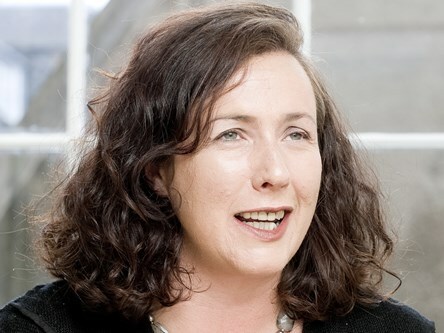 Shona Smith is a Partner and Head of Family Law with Scottish legal firm Balfour+Manson and ranked band 1 by Chambers UK Guide to the Legal Profession for Family Law. She has worked exclusively in family law for more than 20 years, assisting families on issues including pre-nuptial, pre-cohabitation, post-nuptial and separation agreements, divorce, and arrangements for children. She has held many senior positions and is a past chair of the Family Law Association. She is Treasurer of the Family Law Arbitration Group, a member of the Law Society of Scotland’s Family Law Sub Committee, and accredited by the Society as a Specialist in Family Law.